Dreaming of spending a day away from the crowds, while in cosmopolitan Paros? 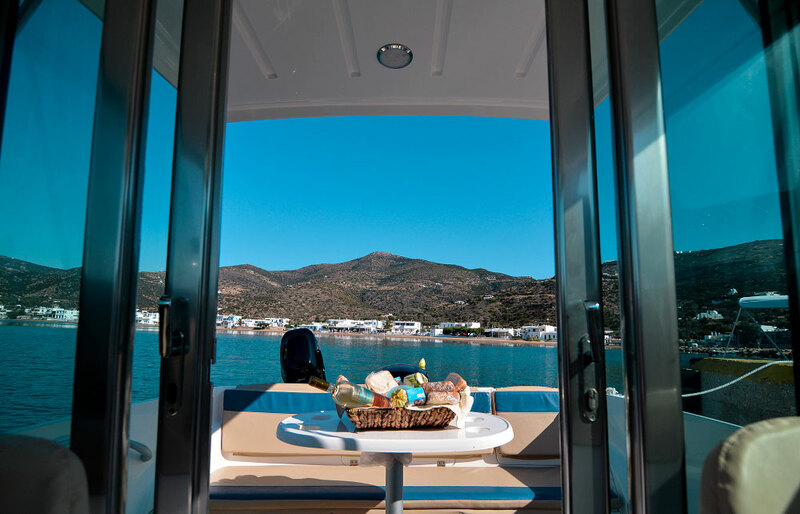 Cruise to the idyllic coast of the neighboring island of Sifnos and be seduced by its elegant essence and authentic Cycladic character. 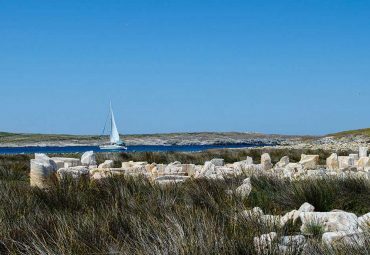 Visit hidden coves, serene beaches, important ancient and ecclesiastical monuments, and discover all that this charming coastline has to offer, with plenty of time to unwind and explore. 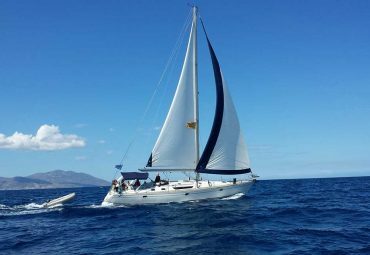 In this full day cruise you will depart from Paros and head towards Fykiada bay in Sifnos, for a peaceful morning swim. 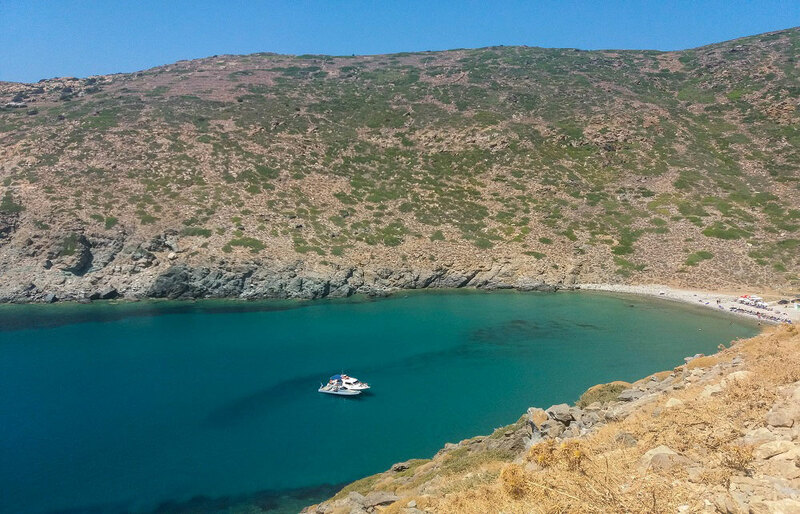 Then, you will sail to Vathi bay, probably the best quiet sandy beach in Sifnos. Along this long golden beach you will find many traditional tavernas, offering famous delicious dishes from their well-known exquisite local cuisine. 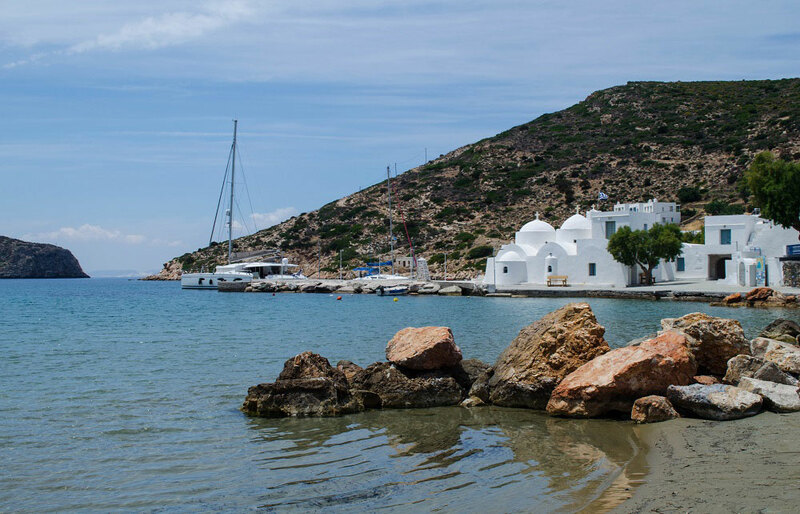 After Vathi, you will continue sailing along the coast passing by several beaches, such as Vlychada and Toscha, to reach Kamares, the main port of Sifnos. 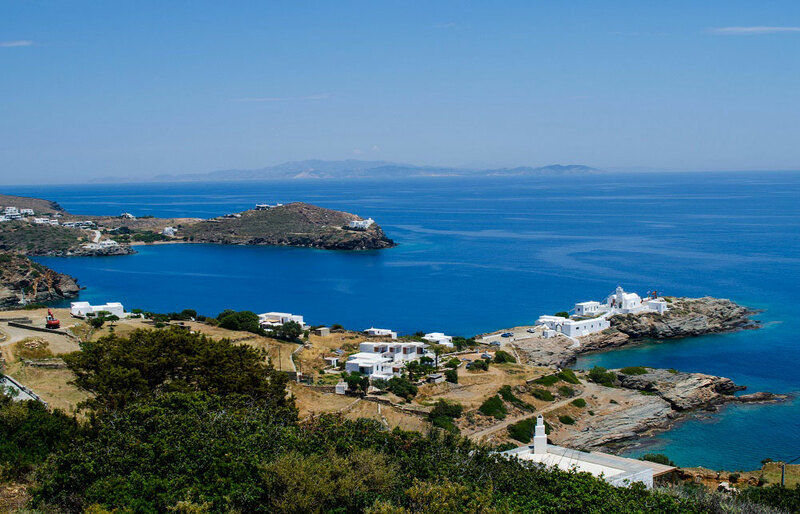 There you will have the opportunity to see the old mines of Sifnos and the beautiful monastery of Agia Aikaterini, proudly overlooking the port. On the hills above the port, you will be also able to see the famous monastery of Agios Simeon. Afterwards, you will continue your cruise to Vroulidia bay, where you can have coffee or refreshments and enjoy its tranquil environment. 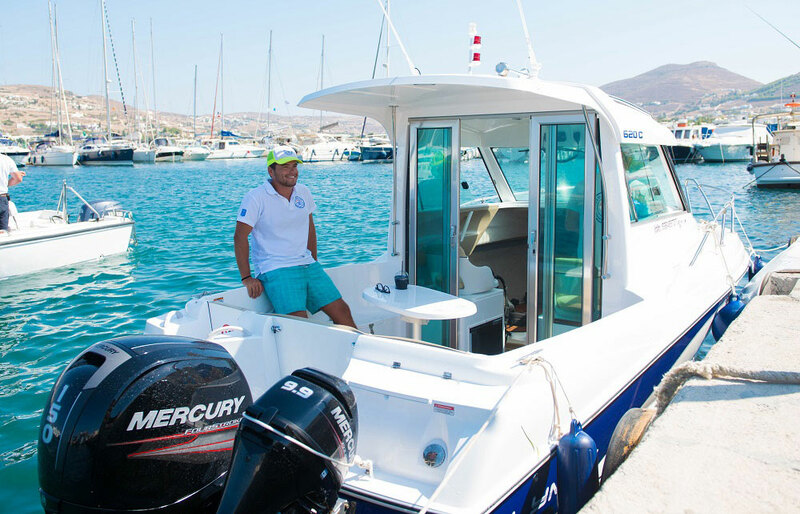 After this small stop, you will cruise along the small fishing village of Heronissos, known for its unspoiled natural beauty, and many serene capes, such as Vlychada, and Aspra Vrachia, to reach the peninsula of Agios Sostis, famous for its mining activity from the beginning of the 3000 BC. Agios Sostis is considered to be the older silver mine in the world, the remains of which are only accessible from the sea. Then, you will pass the small cape of Gria Spilia and enter the bay of Dialaskari, where you will see the monastery of Panagia of Poulati and swim in crystal green waters. 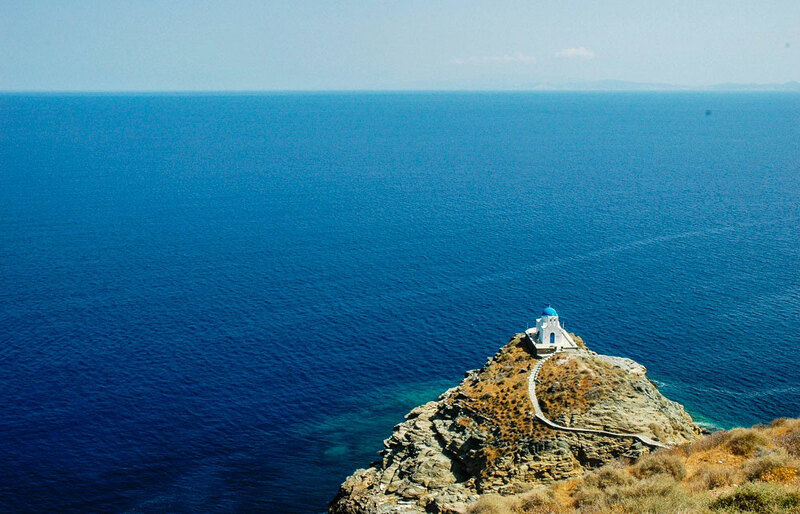 After your swim, you will head towards Kastro, Sifnos’ capital until the 19th century, designed to protect its inhabitants from pirate attacks, with a uniquely fascinating architecture of strong medieval character. If you feel like it, you can climb the stairs to visit this remarkable historic village and enjoy mesmerizing views of Aegean sea. After your short walk, you will continue your cruise to visit the beaches of Fasolou, Faros and Glyfo, where you can swim and see other ancient mines. 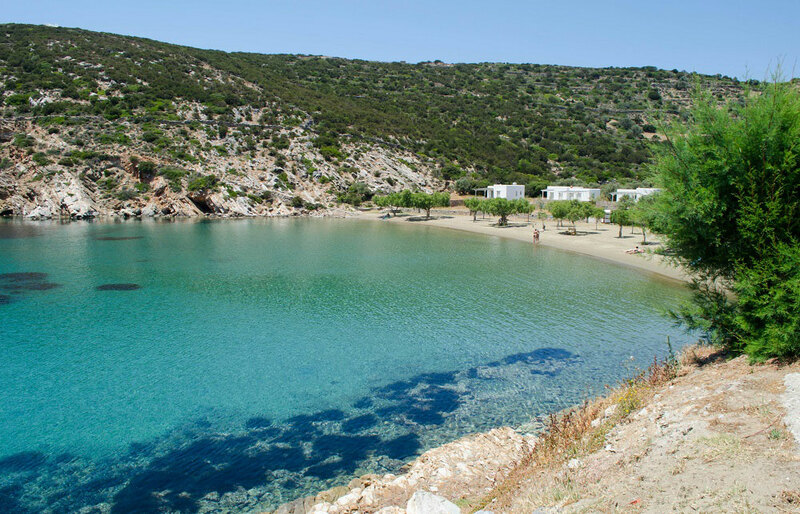 Finally before heading back to Platy Yialos, you will stop at Apokofto bay to visit the famous monastery of Chrysopigi, the most visited monument on the island, as much for the beauty of the site as for the peaceful atmosphere. According to the legend, during the times of Pirates, nuns use to live in the monastery. During a raid in the island one nun stayed behind and prayed to the Panagia Chrysoppigi to help her. Panagia then responded her prayers and split the rock in two throwing the invaders in the sea. The split rock is a characteristic feature of Chryssopigi where a strip of sea separates the bay from the land. 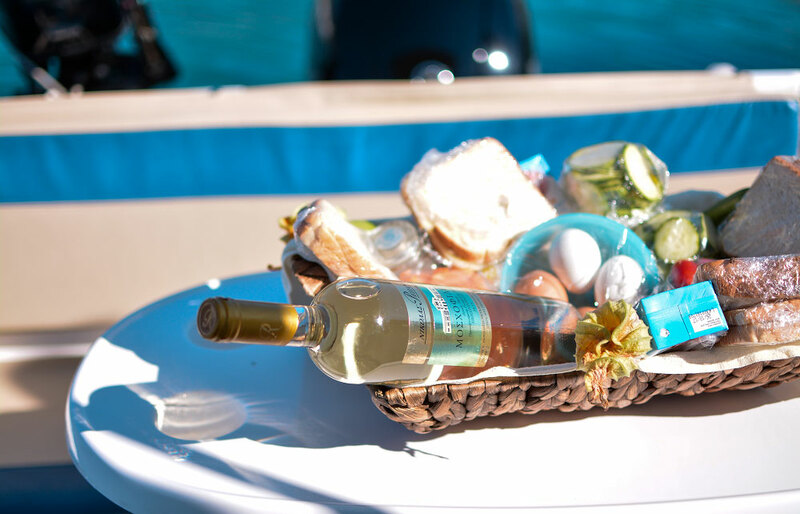 Panagia Chryssopigi is the protector of the island and there is the famous festival (panigyri) which takes place 40 days after Easter. 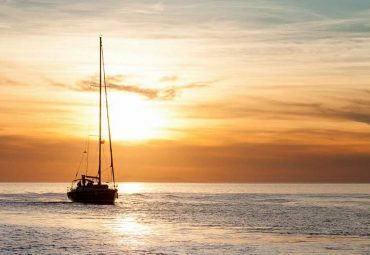 If you are a sunset lover, then the afternoon cruise is your best alternative! 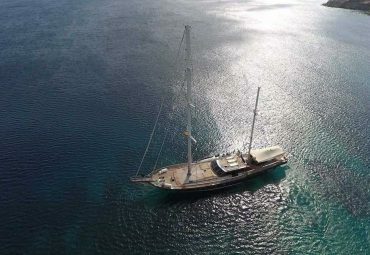 A unique opportunity to see the real jewel in Cyclades!